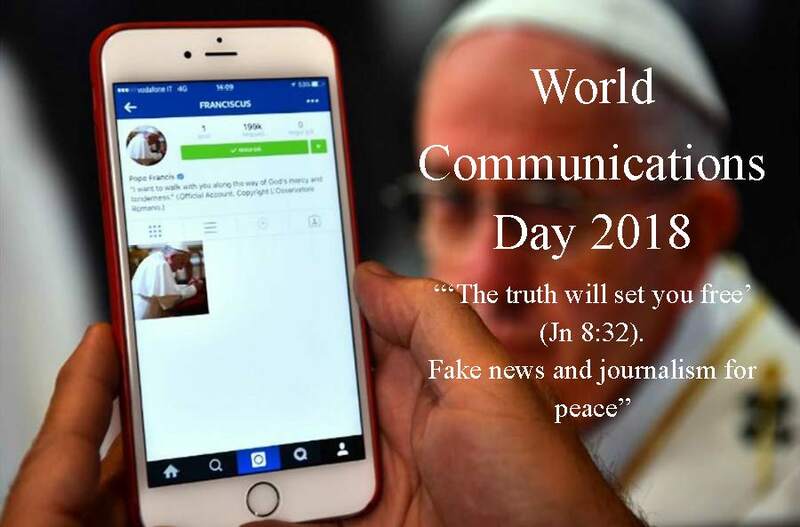 The first World Communications Day was observed on May 7, 1967, under the pontificate of Blessed Pope Paul VI, who wanted to draw attention to the communications media and the enormous power they have for cultural transformation. This year’s observance will be the 52nd edition. Pope Francis’ message was published today, 24 January, the feast day of Saint Francis de Sales (1567 – 1622), bishop of Geneva and founder of the Visitation Sisters. Saint Francis de Sales is the patron saint of writers, editors and journalists. This year, the day will be celebrated in many countries on Sunday May 13, Solemnity of the Ascension of the Lord. where there is falsehood, let us bring truth. Amen.